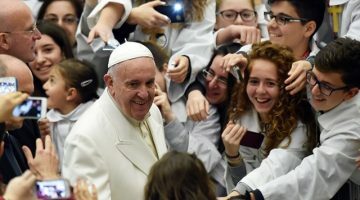 Pope Francis has told members of the Curia to tend to their flocks with generosity and mercy and has urged them to become a ‘model’ for all. The Pope was speaking during his homily at Mass in St Peter’s Basilica on Monday morning, as he celebrated the Feast of the Chair of Peter and the Jubilee of Mercy for the Roman Curia and all the Institutions related to the Holy See. Before participating in the Mass, all those present gathered in the Paul VI Hall for a meditation on the theme “Mercy in our everyday life”, and together with the Holy Father walked in procession through the Holy Door and into the Basilica. He reminded them that God goes in search of the lost sheep, re-conducts them to the fold, cares for the wounded and heals the sick ones. “This kind of behavior is the sign of love that knows no boundaries. It is faithful, constant, unconditional dedication, so that even the weakest may be reached by His mercy” he said. 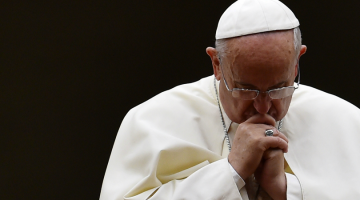 And Pope Francis also urged those present to cultivate and practice a strong pastoral attitude within all Vatican work environments, “especially towards the people we meet every day”. “May no one – he said – feel neglected or mistreated, may everyone experience the loving care of the Good Shepherd”.